Students are often excited when I announce we will begin new book clubs within the week. The books we read in class will not be found on Oprah’s book list and our current club books are well below my students reading level (a casual read to prepare for standardized testing), but by this time in the school year my students have gained a love for reading. Developing and inspiring students to read for enjoyment is one of the greatest gifts educators can give to the kids in their classes. The particular historical fiction book clubs we started last week all revolve around the Civil War. We are reading Meet Addy, I Survived the Battle of Gettysburg, and Will at the Battle of Gettysburg. I noticed during the first allotment of time given to students to read the new novels, students approached me worried that the author, Connie Porter, had accidentally left typos in her novel. What they were referring to was Addy’s particular dialect since she was a slave during the Civil War. This lead to a mini-lesson on author’s craft and dialect when it was time to meet with my groups for the first time. After reviewing author’s craft with my students, they all understood that Mrs. Porter had Addy speak incorrectly for a reason, and soon all of my students felt very connected to Addy and many checked out the entire Addy series. I couldn’t let this reading opportunity pass without an iPad project, so I assigned the below rubric to my groups. We have done a handful of projects like this in the past using various apps, and since it is the week before our standardized testing I knew I would have to have them focused on something. I explained the “must do’s” and “may do’s” of this project and gave students time to create and choose how to do their character analysis. 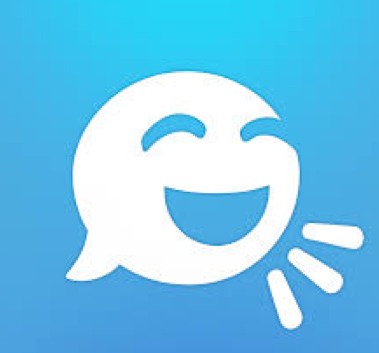 To challenge my advanced students I suggested if they were finished with the “must do’s”, they could add to the character analysis by using ChatterPix Kids or a new app Tellagami. 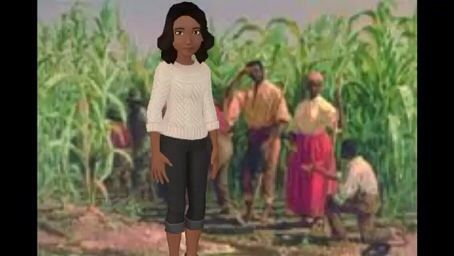 Tellagami is an app that allows students to create an avatar from scratch and place the avatar in various scenes (you can even import an image as a background). There are different dialects, skin tones, eye colors, etc that a person can choose from to personalize the avatar. My students really liked the app and understood how to use it as a tool when I suggested they incorporate it into their project. This student got it. Period. Not only did she incorporate Addy’s lack of understanding of the English dialect, but she also incorporated an appropriate setting. This child was able to truly look through the character’s eyes and create a Tellagami that exemplified the character’s conflict and feelings. Going forward, I will use Tellagami to introduce the use of dialect to my students. Tellagami is one of those creation apps that can be used on all grade levels and across all subject areas. Let me know how you use it in your classroom! What is N’s project on? It’s called “Life In Japan a World War II Story”. He thought Tellagami would be a neat way to present the information, instead of just viewing slides. Great post. We’ve incorporated Tellagami into PSAs (selling loved books, activities, arguments). To showcase them Ss post onto Padlet wall on class blogs. Weve also exported gamis to Explain Everything to show what they know. I had not thought of exporting them to Explain Everything. That can be our next step! Thanks for stopping by.